What is an Ambassador for Climate Justice? Bring a water bottle and wear layers for the weather. Although we’ll be learning indoors much of the day. the whole group goes outside to plant a tree and for break times, whatever the weather. Families arrive to attend the end of day Graduation event when our new Ambassadors for Climate Justice show us what they’ve learned including their plans to restore our climate. The students graduate as new ambassadors when they announce their commitments to their families and a few students present the slideshow shared by youth around the world. The possibilities are as endless as your imagination. 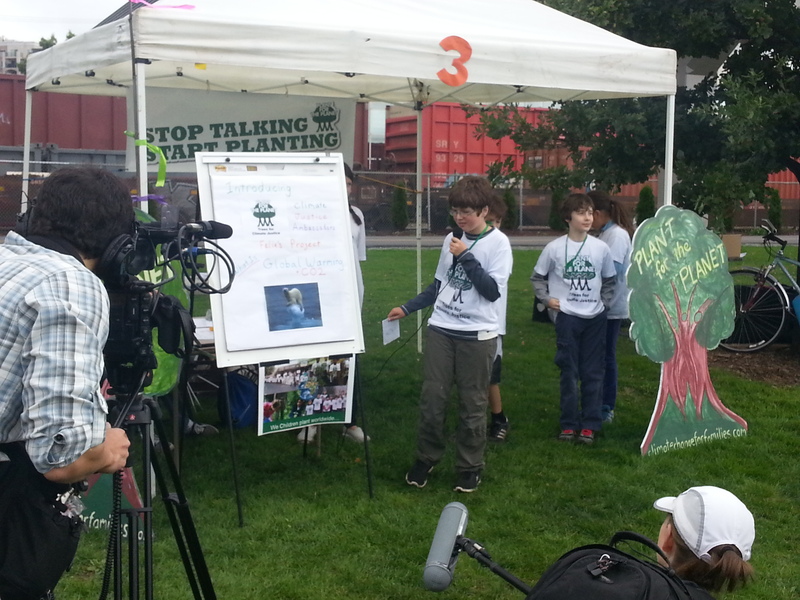 Plant-for-the-Planet Ambassadors connect with schools and on local tree-planting events to build momentum to stop the climate crisis. Last year, we helped plant almost 9,000 trees. In Seattle ambassadors hold monthly Leadership Corps meetings at the Good Shepherd Center to plan actions. Letter writing from Ambassadors inspired college students to vote in Whatcom County, to help block a proposed coal terminal there. Local Ambassadors work with 350.org, Our Children’s Trust, Climate Solutions, and more groups speaking at rallies, at schools, to City Council, legislators and the Governor, and won a legal decision to make the Dept of Ecology do our fair share to combat global warming. 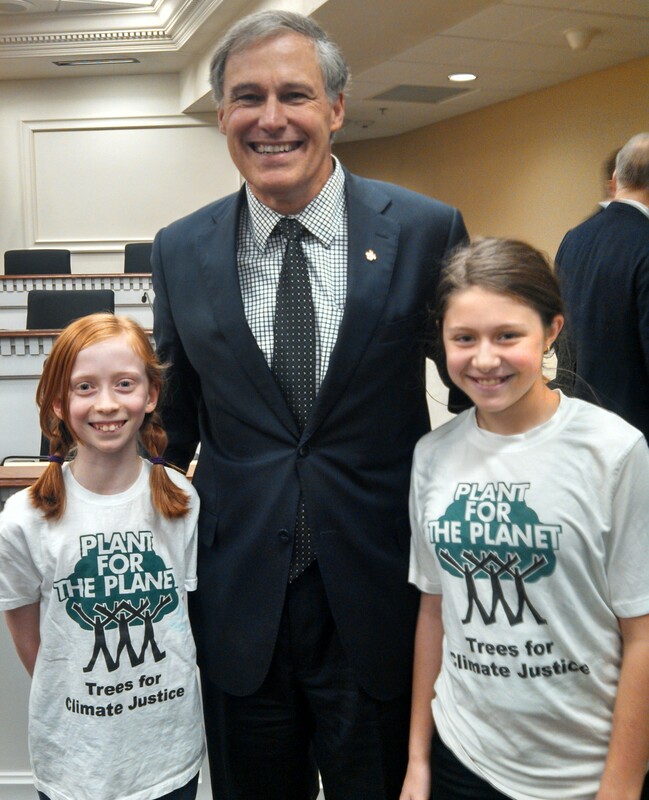 Ambassadors from Plant-For-The-Planet gave public comment to Washington Governor Jay Inslee in Olympia. Jack, a Forest Steward, teaches Ambassadors how to properly plant a tree. 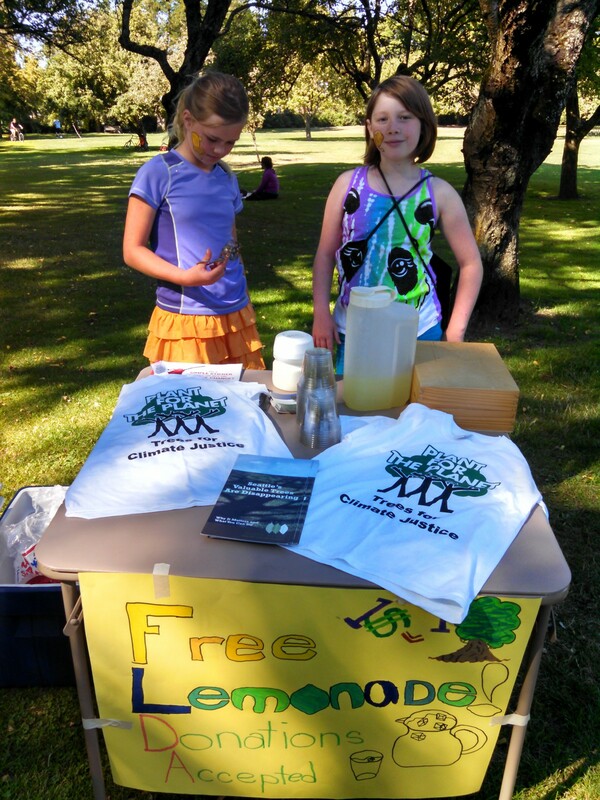 Free Lemonade! Quench your thirst and make a donation to plant trees in the tropics. A cool way for ambassadors to reforest the planet in our dry summers. 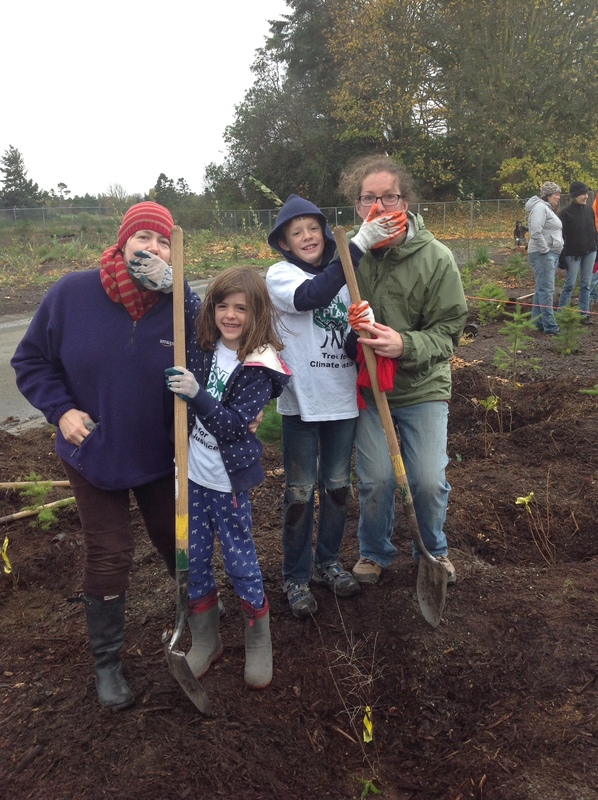 Ambassador families “Stop talking and start planting,” Green Seattle Day! 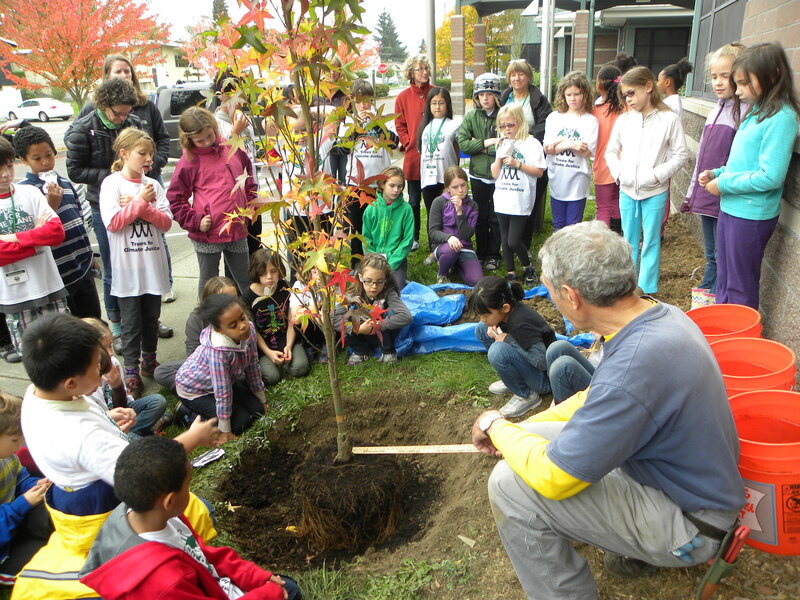 Tree-planting season officially arrives in Seattle Parks on Saturday November 7th! 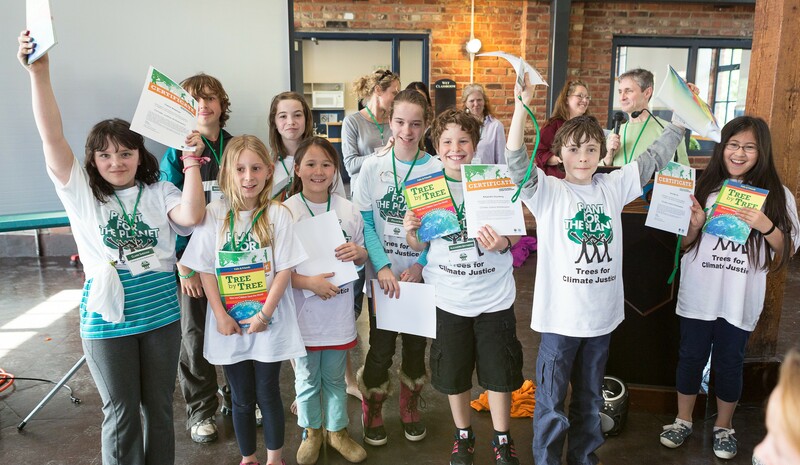 You can be part of a global children’s movement that is changing the world, “Tree by tree”. Posted on September 29, 2014 September 6, 2015 by fostertudePosted in Calls to Action, Climate Change News, For Parents, How to Get Involved, Kid Activism, Local Events, Plant for the Planet Academy Seattle - Updates, Plant for the Planet News, Things You Can DoTagged ambassadors for climate justice, change the world, Climate change, Climate justice, free workshop, Plant-For-The-Planet Academy.